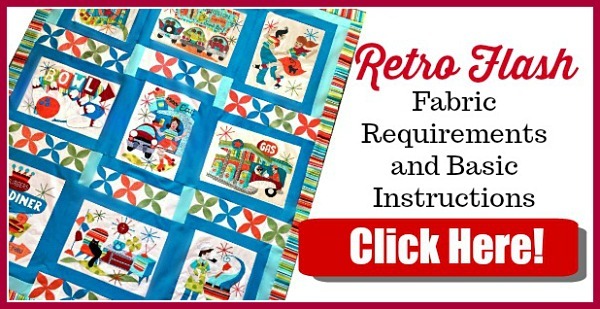 Quilt Block #6 of the Retro Flash Sew Along is now available free until May 1, 2019! Retro Flash was influenced by our time spent on Route 66 while traveling through the west. I love the old signage and the simpler times represented in mid century culture. 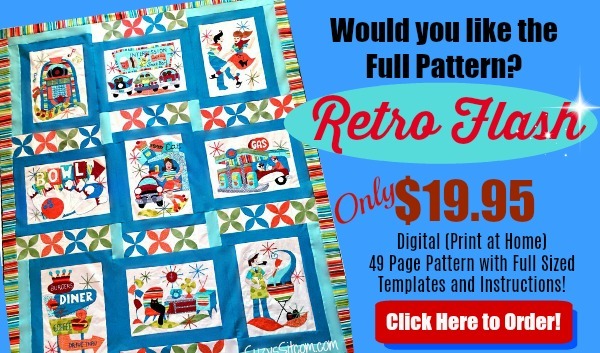 Retro Flash brings together some of my favorite 50’s themes into one fun quilt. 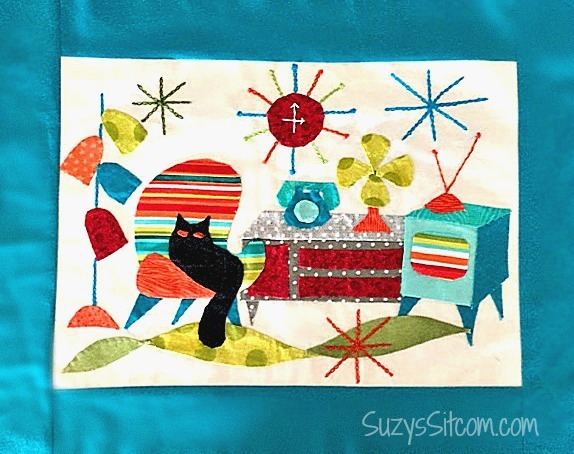 Be sure to go to the bottom of this post for this month’s Free Quilt Block! 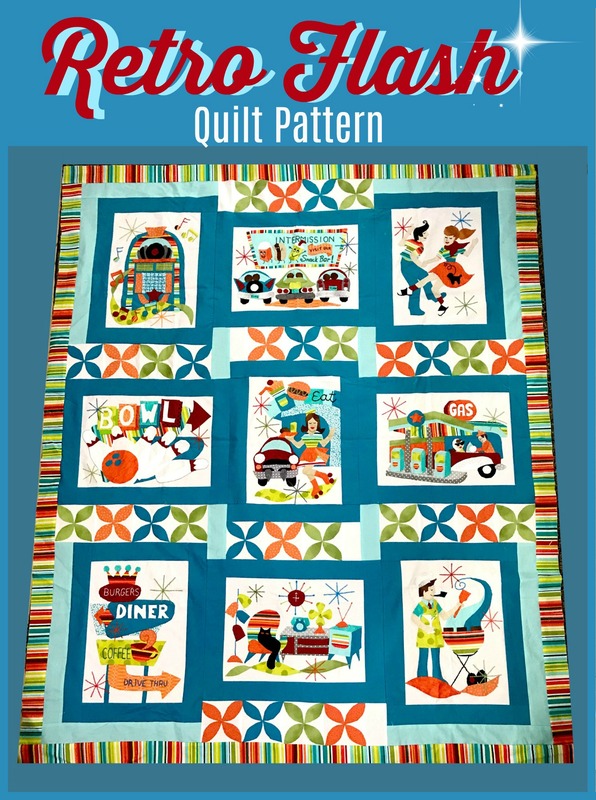 Today, I am releasing block number 6 of my new quilt pattern, Retro Flash, called Living Room! Each month, I will be walking you through this quilt top step-by-step with tips, and thorough instructions and free templates. Living Room features some of those great vintage household items that bring back memories of the good old days. Many of us grew up with living rooms that looked similar to this. Remember when televisions had rabbit ears, and the only remote control was you getting up to change the channel? Starting November 1, 2018, blocks are offered on the first of the month, with the last being offered on July 1, 2019. Each block will be available free to all Sitcom Readers until the end of that month. These block instructions and templates are only available for free until May 1, 2019. After that, they will be available for $4.99 each. So take advantage of a freebee and download them now! 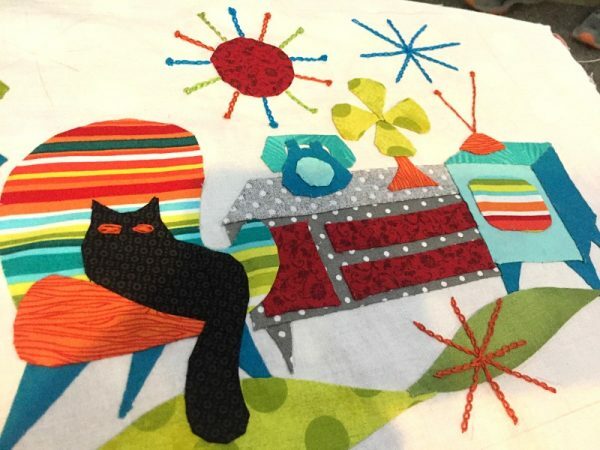 Don’t miss my other Sew Along beginning April 1, 2019 called Grandma’s Garden! 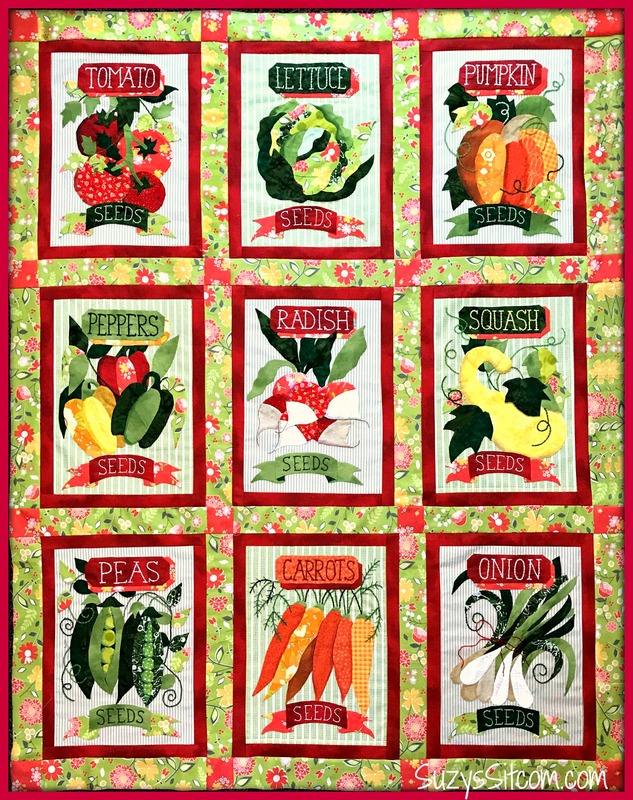 This beautiful quilt pattern was inspired by vintage seed packets. You can find all the information for this free sew along HERE! Next post: Grandma’s Garden Sew Along- Free Quilt Patterns Each Month! Previous post: Block of the Month- Love Birds Pattern!